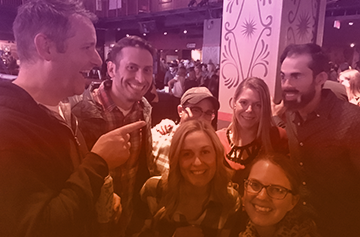 The Hatch Awards are an annual celebration for our Boston team. It’s an exciting time to celebrate creative and innovative work and, if we’re lucky, bring home a few awards ourselves. 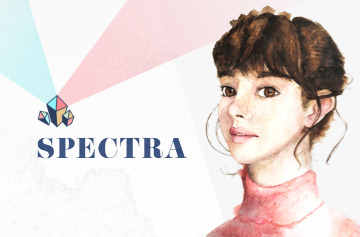 This year, we’re proud to announce that we took home two awards: a Merit Award for LEGO Life in the Illustration and Animation category and a Bronze Award for Aeronaut in the Unconventional Category. While winning is exciting, the award show itself is always a great event. Here are some of the team’s highlights from the night. The merit win of the LEGO Life work was really just the icing on the cake, so to speak. The real highlight of the event was getting this extremely talented group of people who worked on the project back together to, not only celebrate this great piece of work, but to celebrate all of the hard work we had done over the years on the LEGO account. 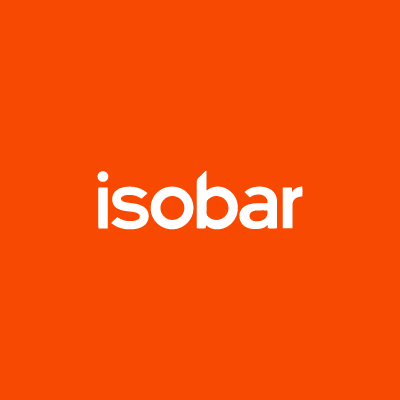 In my mind, the win really is a testament to the great work that we do at Isobar and the great and talented people we work with day in and day out on these accounts. And yes, the dancing MBTA logo and Citgo sign were pretty memorable as well. Last night’s 58th Hatch Awards were an exciting time to be in advertising! My favorite moment was the opening video – which took a satirical approach to the “awards show video” theme, and grabbed everyone’s attention from the on-set. One particularly interesting piece of work showcased was an OOH and social execution for Burger King. After a Burger King / Wendy’s “feud” on social media, Burger King “asked Wendy to Prom” via one of their storefront signs, and the promposal went viral on social and was picked up by several cable networks. I thought it was a really great example of how companies can take a simple idea and make a big impact. The Hatch Awards are unique in that, aside from a welcome from the Ad Club President, the entire show, including award announcements, is done via video and motion graphics projected onstage. Boston based Black Math has been in charge of the production for many years now and their work has become one of the things I most look forward to each year. This year the theme was “Boston” and could easily have resorted to cliché imagery of the city but, once again, Black Math did not disappoint. While they did use some of the expected, they layered on the wacky and unexpected to create something fresh and unique. The event intro video, dubbed “The beginning of the Hatch awards,” was one of my favorite things about the night. The video featured a few guys planning what the video would be about, how they were going to pull it off (scoping the location), etc. Though it started off slow, the humor just kept building (including many random references to P.F. Chang’s). 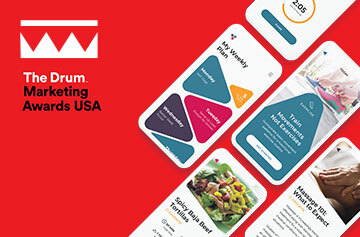 It culminated with “The Results” on how they were able to achieve 100% audience engagement by targeting people in Boston at the House of Blues. It was a pretty awesome way of spotlighting what we all do for a living, while not taking it too seriously. It simply closed with “The end of the beginning of the Hatch awards.” Well done! Favorite moment: The whole event was themed around Boston, lightly making fun of the local culture. Local jokes were made around the large amounts of snow we get, the T breaking down, etc. Even local celebrates, like Keytar bear made an appearance. Inspiring piece of work: JetBlue’s Little Tickets. JetBlue always finds a way to “cut through the clutter” with activations that are culturally relevant and innovative in media. This year’s win taps teaches America to slow down a bit by showcasing a few innocent comments from children that encourage parents to work a little less by taking a vacation. it shows how powerful messages can be conveyed in subtle ways. Isobar at the Hatch Awards: Isobar believes in mastering the art of craft. The Lego Life merit recognition, in the elements of Advertising category, calls attention to the level of craft and detail that may go unnoticed in the market, but is critical to the execution of quality work. Unlike regular video shoots, this work was produced over several months of filming and produced by professional Lego Master builders to ensure the accuracy and quality of detail in every shot. After attending a number of Hatch Awards over the years, I knew what to expect and this year’s show did not disappoint. The most memorable moment of the night was when local favorite, Keytar Bear came out on stage to jam with the winners. The Black Math team always does a spectacular job with the theme and visual presentation of the show. This year was no exception. The design, music and graphics were fun, edgy and unique. 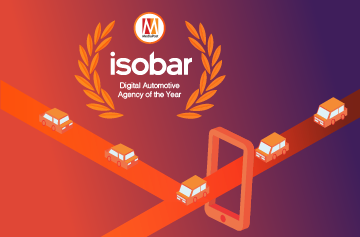 Although Isobar did not win a gold or silver bowl, it’s always great to be recognized by Boston industry peers. I’m proud that our Aeronaut VR project won bronze in the Unconventional Format category and our stop-motion LEGO Life video received a merit in the Elements of Advertising Illustration & Animation category. The show was great as usual. House of Blues is an awesome venue. The AdClub president’s opening remarks included the requisite Red Sox references and the crowd ate it up. The event showcased a bunch of good work for L.L.Bean and other smaller brands you may never have even heard of. Of course, the big shops were present, but there was a ton of work represented by smaller places as well. Aeronaut took a bronze and our LEGO Life work was given a Merit. Overall, the feeling I took away was that now, more than ever, there are no rules or recipe to follow when creating work that gets recognized by peers, so take chances and be bold and brave. At this year’s Hatch Awards, it was really inspiring to see the Student Campaign category. The work coming out of those submissions is not only extremely creative, but it also touches on some large societal issues such as wrongful convictions and the opioid addiction crisis. It’s encouraging to see such impactful and well-crafted work coming from talented young people in the Boston community. As per usual, the Hatch Awards were an incredible event and one that we consider ourselves lucky to be a part of…’til next year!